Last year, the Supreme Court issued its opinion in Universal Health Services v. U.S. ex rel. Escobar, in which the Court affirmed the theory that violations of statutory and regulatory provisions can constitute actionable fraud under the False Claims Act (FCA). This webinar will explore different views on how this decision might affect FCA investigations and litigation in the coming years, including whether drug and device companies can expect more cases based on violations of provisions of the Federal Food, Drug & Cosmetic Act. JONATHAN PHILLIPS is an attorney in the Washington, DC office of Gibson, Dunn & Crutcher. 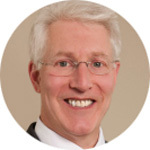 As a member of Gibson Dunn’s FDA and Health Care practice group, his practice includes representing health care and life sciences clients in a range of government investigations and enforcement actions, including claims under the False Claims Act, the Anti-Kickback Statute, and the Federal Food, Drug, and Cosmetic Act. Prior to joining Gibson Dunn, Mr. Phillips served as a Trial Attorney in the U.S. Department of Justice’s Civil Fraud section, where he investigated and prosecuted allegations of fraud against the United States under the False Claims Act and related statutes. ROBERT VOGEL is the founding partner of Vogel, Slade, and Goldstein, LLP, a Washington, DC law firm that represents plaintiffs in qui tam cases involving health care, defense, and other kinds of procurement fraud. Before entering private practice, Mr. Vogel was a trial attorney in the commercial frauds section of the Department of Justice’s Civil Division. He has published more than a dozen articles, including “The False Claims Act and its Impact on Medical Practices,” Journal of Medical Practice Management, Vol. 26, No. 1 (July/August 2010); and “The 2009 Amendments to the FCA,” The Government Contractor, Vol. 51, No. 37 (October 2009). 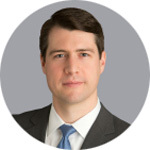 Mr. Vogel graduated from Amherst College and Stanford Law School, and he clerked for Judge Frank M. Johnson, Jr., of the U.S. Court of Appeals for the 11th Circuit.